In addition to being easy to look at, Cape Town’s vibrant streets pulse with life, art, and music, while its natural areas are an adventurer’s playground. If a visit to the Mother City isn’t already on your bucket list, it should be now. 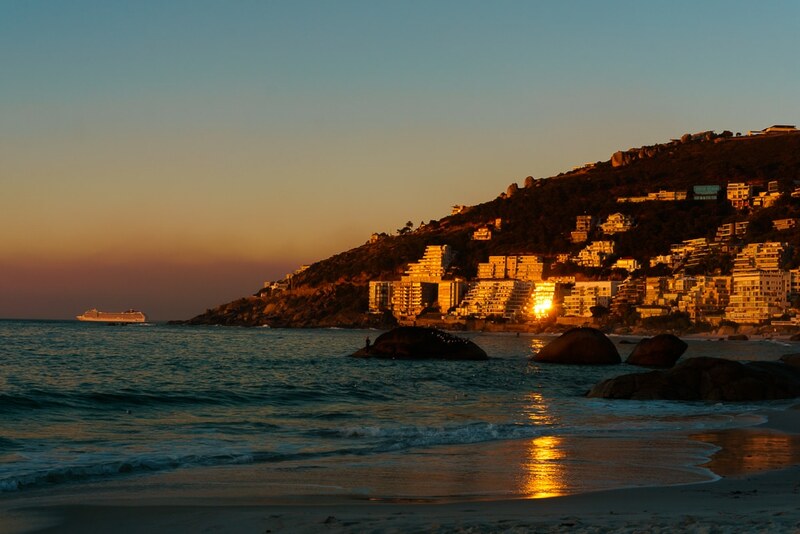 While it is very easy to fall in love with the city and to want to move there, a week is an ideal amount of time to get to know Cape Town while leaving some of its charms to be discovered the next time you visit. And there will be a next time! 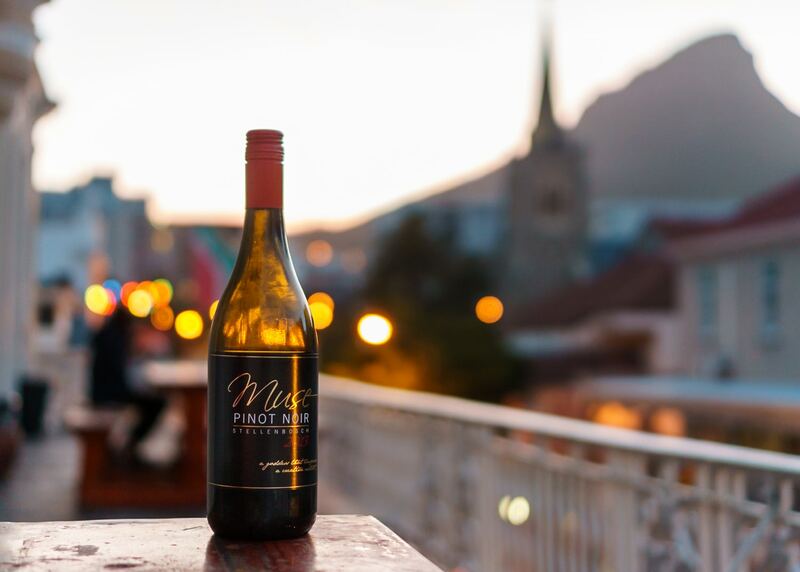 The following is some information on how to make the most of a week in Cape Town. 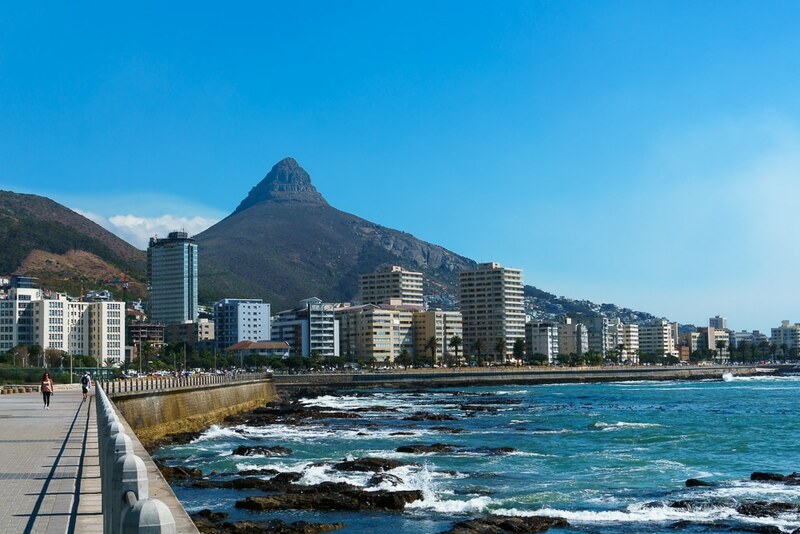 The Mother City has a temperate climate so visiting year round is both possible and pleasant. However, depending on what your goal is when you travel there, different seasons are better suited for certain activities. Whale watching is best from June to September, while hiking holidays are best from late April to Early June. The most busy time to visit is between December and February when temperatures peak and you can expect long, hot, and dry summer days. If you visit from late-January to April, you can expect smaller crowds, cheaper prices, and beautiful weather for beach days. South Africa has a reputation for being riddled with violent crime and in some ways, it’s not entirely undeserved. That said, most of it is concentrated to areas that the average tourist will not have any purpose ever being. Our local friends told us to avoid the areas of Lavender Hill, Nyanga, and Grassy Park in particular. Otherwise, we had no issues walking around City Bowl and Bo’Kaap, as well as along the waterfront paths. Full disclosure, we never stayed out much passed dark though since we’re a boring old married couple who prefers hiking to night life most days. If you do go out late at night practice some common sense, stay out of trouble areas, and keep your wits about you and you should stay safe. If you feel at all unsafe, take an Uber as they’re cheap in Cape Town, and don’t show off valuables or excessive amounts of money! If it is your first time to Cape Town, staying in City Bowl is probably your best bet since it’s close to where a lot of the action is. There are lots of options for all budgets in the neighbourhood, but they will likely be loud as there are many bars along Long Street. 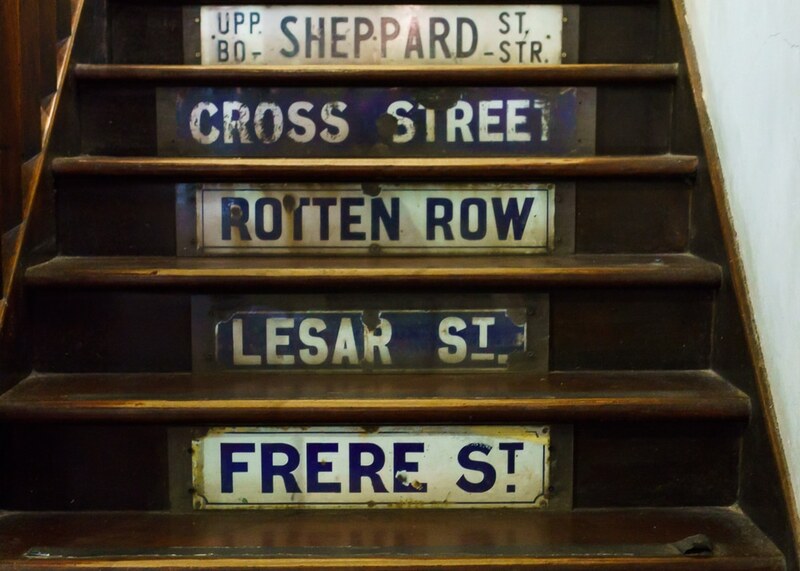 One the plus side, you’ll also be close to so many great restaurants, coffee shops, and bars. One that we particularly like is Beerhouse, where they have 20 different beers on tap! I would recommend trying to find a place that’s a few streets back from Long Street so that you’re close to the action but an actually get a good night’s sleep. 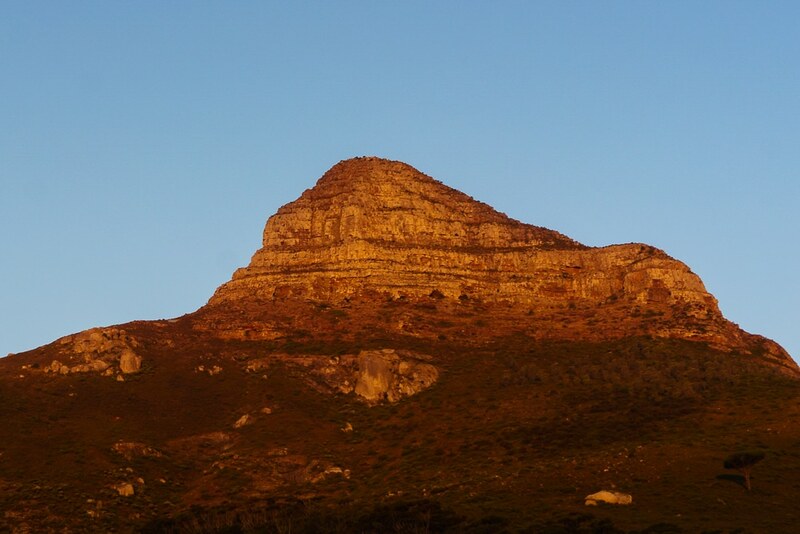 Many of Cape Town’s most popular attractions such as Bo’Kaap, the District 6 Museum, Castle of Good Hope, Signal Hill, the Lions Head, Table Mountain, and the Company’s Gardens are all easily accessible from the City Bowl and it’s a good place to stay if you don’t have a car. Two to three days in City Bowl should be enough to explore your own highlights if you’re looking to move on to another part of the city! For our week long trip we stayed in 3 different areas in Cape Town, City Bowl, Seapoint, and Kirstenbosch, and highly recommend the two places below for excellent value. We don’t have a recommendation for Long Street as our place, while cheap, was quite loud! This small budget hotel is in Sea Point and within walking distance of a Pick’n’Pay and the coast, as well as some great restaurants, such as Sailor Jerry’s. The room was very large, had a nice view of Signal Hill, and we appreciated that it was much quieter than staying in City Bowl. It’s not the swankiest place and is located above a Chinese restaurant, so you can hardly call it a boutique hotel but we thought it was great value for the price. If you’re up for a long walk along the seaside pathway, you can stroll all the way to the V&A Waterfront too. After spending 3 loud nights on Long Street, this place was great spot to catch up on some rest before heading out of the centre. We did not have a car for this part either. This gorgeous studio near Kirstenbosch Gardens is amazing if you have a car since it’s too far to walk to any stores or attractions nearby. The little apartment was a stylish and comfortable space and we loved sitting out in the garden. There’s also cute animals! We wished we had another day here just to chill out in the garden with some wine from the nearby Constantia vinyards. This was a also a good basecamp to visit the Kirstenbosch Gardens and Table Mountain National Park from. Lastly, it is close to some malls where you can do your shopping to stock up for a road trip along the Garden Route. 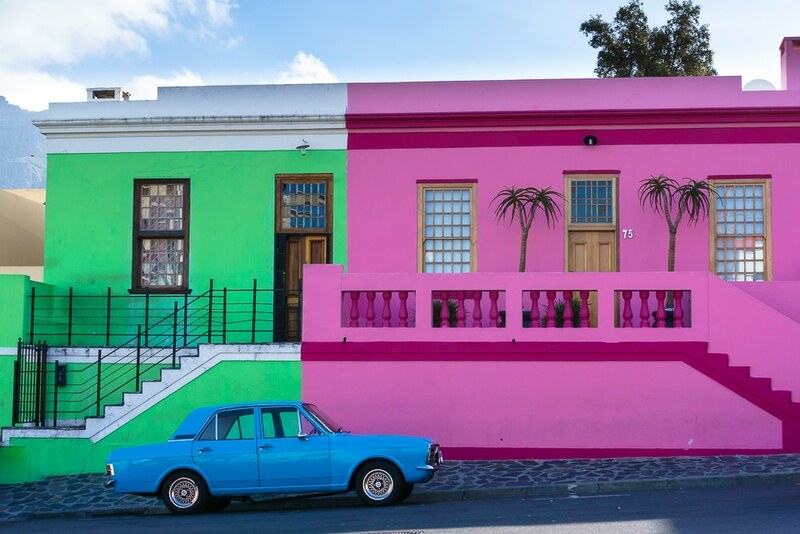 Bo Kaap is not just a famous Instagram destination in Cape Town, it also has a lot of history as the Malay Quarter of town, home of the oldest mosque in Cape Town, and one of the oldest residential areas in the city. Pick up a free walking tour guide at Motherland Coffee in City Bowl and see the beautiful, colourful historic neighbourhood with them. Be sure to tip well since free isn’t really free and your guide needs to make a living wage. We recommend a tasty happy hour craft beer at Rootstock Republic afterward. A lot is made of walking in South Africa with people saying it’s not safe anywhere and you should always drive to every location, but we didn’t find that to be entirely true. With the exception of a few panhandlers, walking around City Bowl during daylight hours was hassle-free for us. We walked to the District 6 Museum, The Company Gardens, and the Castle of Good Hope with no issues. 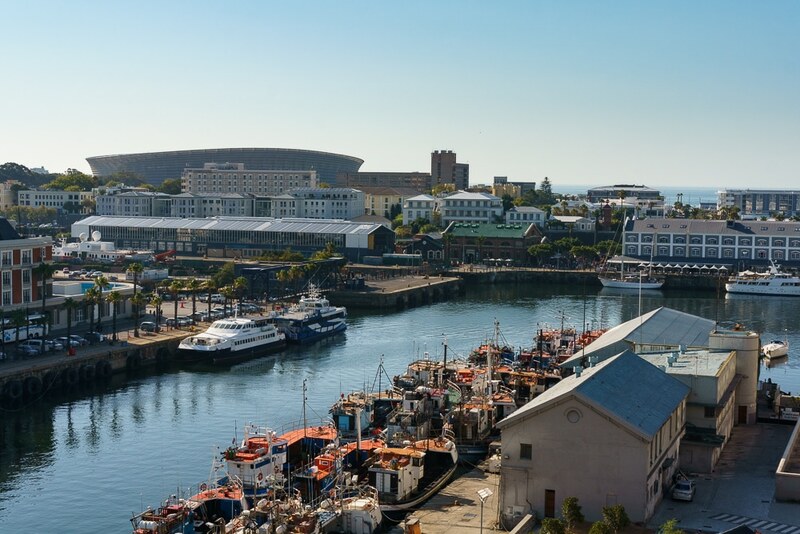 This is the swankier part of Cape Town and you will definitely pay more to eat here, but the waterfront is lovely and you can keep your eyes peeled for cute cape fur seals. The Radisson Red Rooftop Bar offers amazing views of the city but you need to contact them ahead of time to make a reservation which we sadly did not. They have a rooftop pool which seemed like a fun way to cool off on a hot day. An Uber or a taxi from City Bowl would be a cheap and easy way to get there if you don’t like walking as much as we do. A fire swept through there the day after we left Cape Town which postponed it’s February 15 proposed reopening date. If you do go, be extremely firesafe and take care around the steep cliffs. Locals informed us that tourists die up there every year (perhaps after a few too many sundowners). Again, you can take a taxi or Uber up Signal Hill to the trailhead once it re-opens, or the 106/107 bus. This is a great place to pack a picnic and watch the sunset. Bakova is a nice beach too but it can be blow-you-off-the-rocks windy so it’s best to save it for a calm day. The beach is just outside of City Bowl so if you’re staying there it’s only a short Uber or taxi ride away. There are a few ways to see Table Mountain, including the cable car, which doesn’t involve any hiking. Since we’re keen hikers we decided to take the Skeleton Gorge path on the advice of our local friends who derided the Platteklip route which takes you to the top under the cable car. 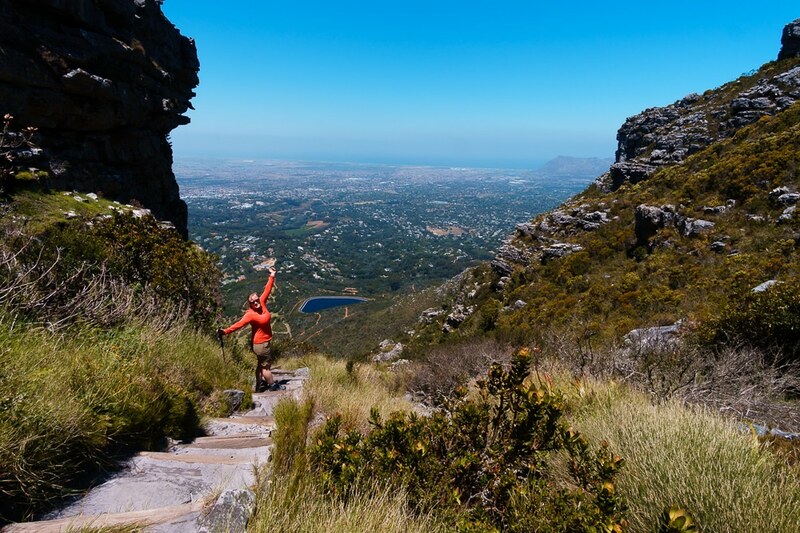 While you won’t get the classic Instagram picture from the end of Skeleton Gorge, you take a beautiful but steep path through the Kirstenbosch Gardens and forest to get to the hydro dam at the top. Some people go swimming in it but it was fenced off when we went so we didn’t try. Once you’ve reached the top you can do a long loop to connect with the top of Platteklip where you can take the gondola down if you want to save your knees, or do a shorter loop to take the Nursery Trail back down to Kirstenbosch which is what we did. The trail is punishing on the knees but offers gorgeous views on the way down. If you want to do Table Mountain without a car, the Platteklip path is the way to go and there are shuttles to get your there easily. Otherwise, if you’re staying near Kirstenbosch gardens you could always call an Uber to and from the gardens. On our 6th day in Cape Town, we picked up a small car from EuropCar and drove to the Kirstenbosch suburb. From there, we hiked in Table Mountain National Park (as mentioned above) and toured the Constantia wine area. The day after that, we headed to the nearby attractions listed below. If you leave early enough in the morning, you can easily see all these gorgeous sights in one day. Remember, South African summer days are delightfully long, reminding me of home! 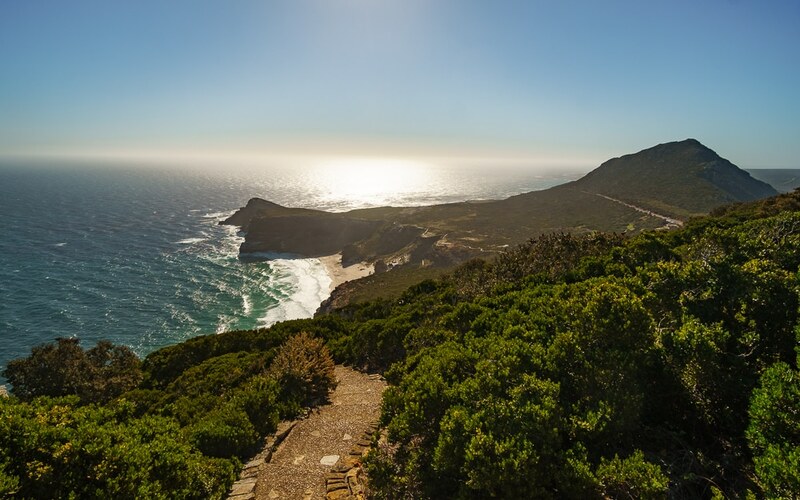 Also located within Table Mountain National Park is the sublimely beautiful Cape Point, although it is about 75 minutes or 63km away from Cape Town. The views of the rugged coastline from this area are insanely gorgeous and worth the drive. If you are not short on time, there are plenty of one day to multi-day hikes to do in the area. It is a great place to visit along with stops at Boulder’s Beach and Muizenburg. Entry is about 300rand for foreign visitors or included with the Wild Card (more on this below). 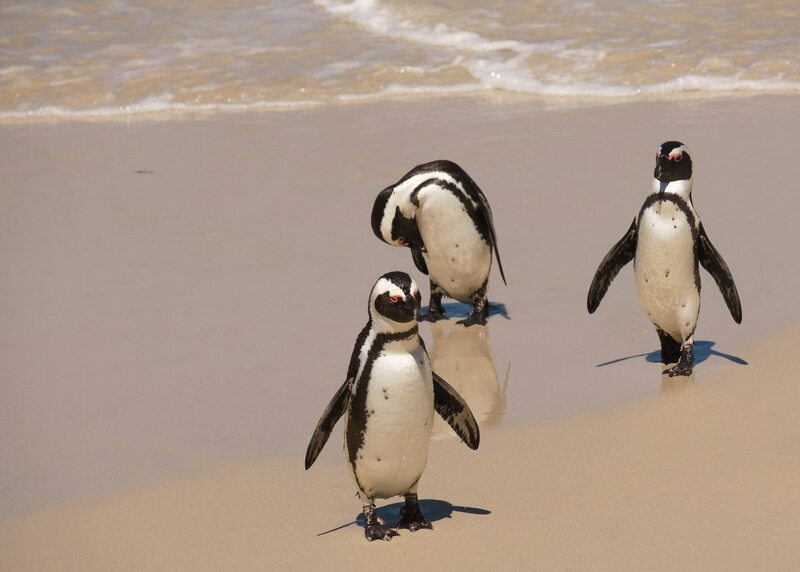 About 47km south of Cape Town is the Boulder’s Beach Nature Reserve where a large colony of African penguins live. These adorable guys live on the beach and can be viewed closeup from nearby boardwalks. Entry is about 65 rand or included with the Wild Card. Grab lunch or ice cream in the nearby quaint small town called Simon’s Town. There also a Metro Rail train that that will take you there too and you can walk or taxi to Boulder’s Beach from there if you decide not to rent a car. 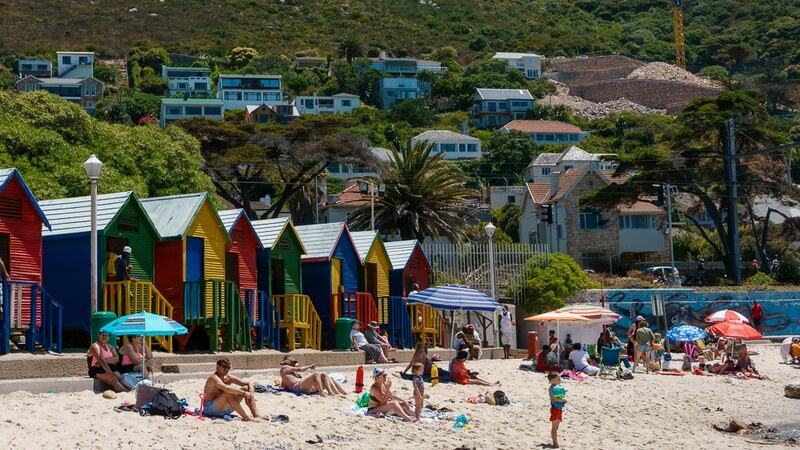 You know them, you love them, this is where you see the rainbow-coloured, postcard perfect beach huts. It is also where many locals learn to surf and a free, family-friendly destination for locals and tourists alike. Stop there for a morning dip before heading onto Boulder’s Beach and Cape Point, or plan to hit it on the way back to Cape Town for sunset. Constantia is just outside of Cape Town near the Kirstenbosch Gardens and features a few wineries within a very short drive from the city. 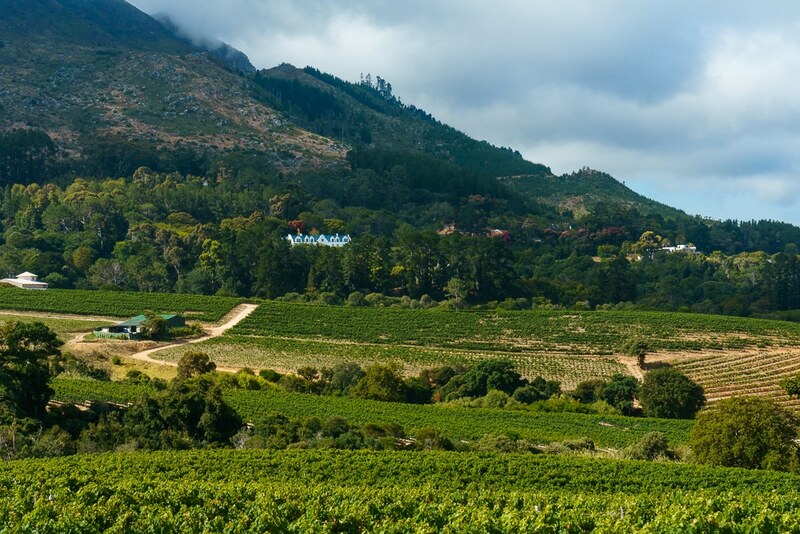 Stellenbosch is the principal wine region in South Africa making it a worthy trip from Cape Town. If you’re keen to avoid drinking and driving (a good idea! ), there’s a train that will take you to and from the wineries for about $80cad. 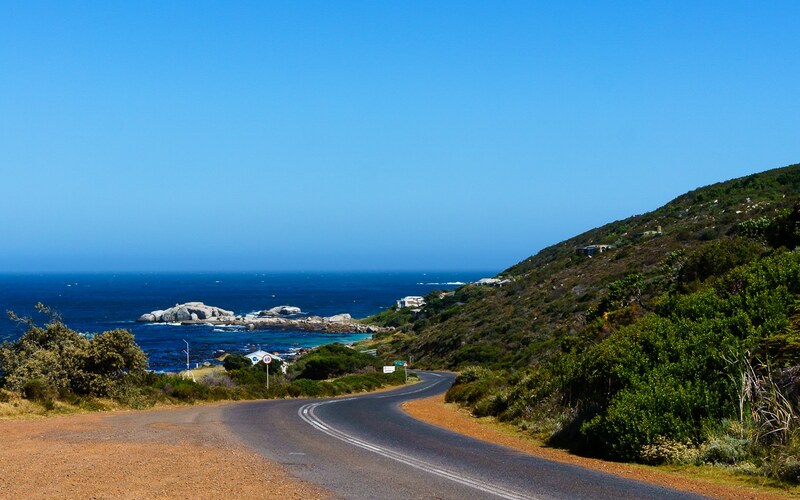 From Cape Town, you can also drive the gorgeous Whale and Garden Routes for some out of this world seaside scenery, wine and fresh seafood, and superb hiking, surfing, and kayaking which we highly, highly recommend. Or you can hop on a plane to Johannesburg to start your trip to the unforgettable Kruger National Park. These are just a few ideas but South Africa truly has an adventure waiting for anyone. One money-saving tip is to activate your sim with as little data as possible. Then you can go to any shop and buy airtime. For example, if you buy $10cad (or roughly 100rand) of airtime you can load it on your phone and then go to the transfers option and convert it to 1 gig of data for the week for 50rand. I don’t know why, but this is way cheaper than buying 1 gig for a month the outset which is about $35cad. to charge your devices. It is not on most world travel adaptors so if you arrive in the country without one (like us!) you can easily buy one for a few dollars from most corner stores. If you’re planning to drive the Garden Route , we also recommend bringing a car charger so you can keep your phone and cameras topped up during long drives. Is a Wild Card Worth It? If you only plan to visit Cape Town and surrounding area you likely won’t get enough value from it to warrant the purchase. 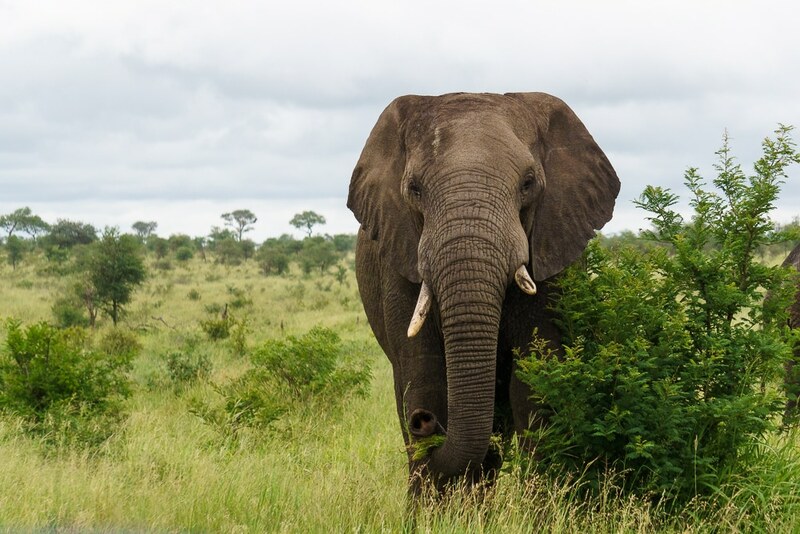 But, if you plan to visit Kruger National Park or the Garden Route and nature reserves near Cape Town, the Wild Card may be worth considering. The roughly $450cad price tag may seem steep but it covers entrance fees for two people in most South African National Parks and is valid for a whole year. Cape Town is a city that draws hundreds of thousands of visitors every year many of whom are happily returning. With its natural beauty, delicious food, beautiful coastline, mild climate, colourful streets, and friendly people it’s not hard to see why. 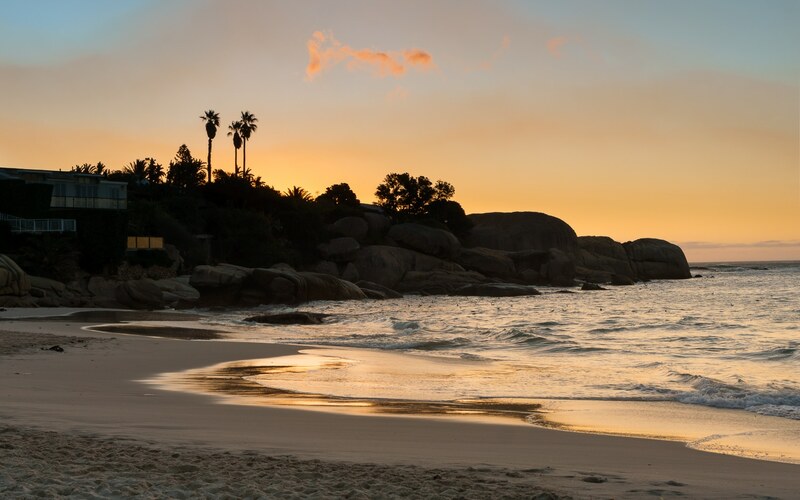 The Mother City is also a wonderful place to launch off to other great destinations in South Africa, such as the Garden Route and Kruger National Park. We can’t wait for our next trip back to South Africa and Cape Town. It truly is a beautiful area you have to see at least once in your life! Not finished reading about how beautiful South Africa is? Check out our post on the Garden Route Road Trip! Next PostNext Renting a Car in South Africa – Advice!